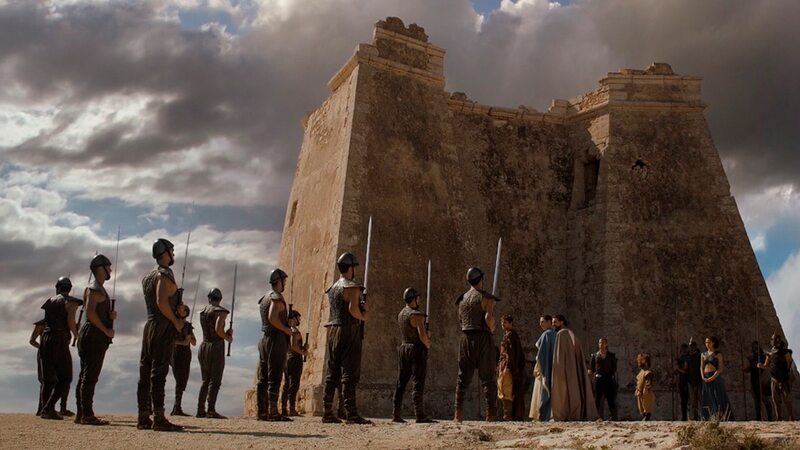 Soon, the mythical TV-series Game of Thrones will air its eighth and last season and grant us the perfect pretext to walk on the footsteps that this global phenomenon has left in Spain. 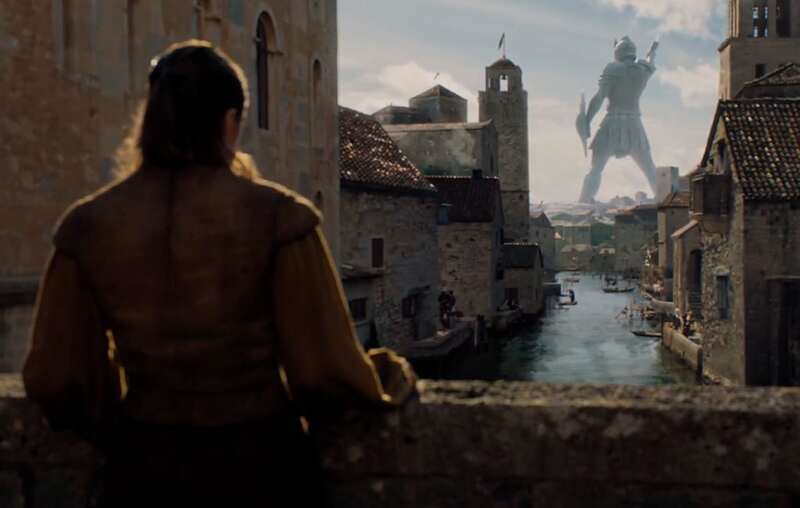 Millions of followers of the HBO fiction series have been, inadvertently, traveling across different locations of the Iberian Peninsula. 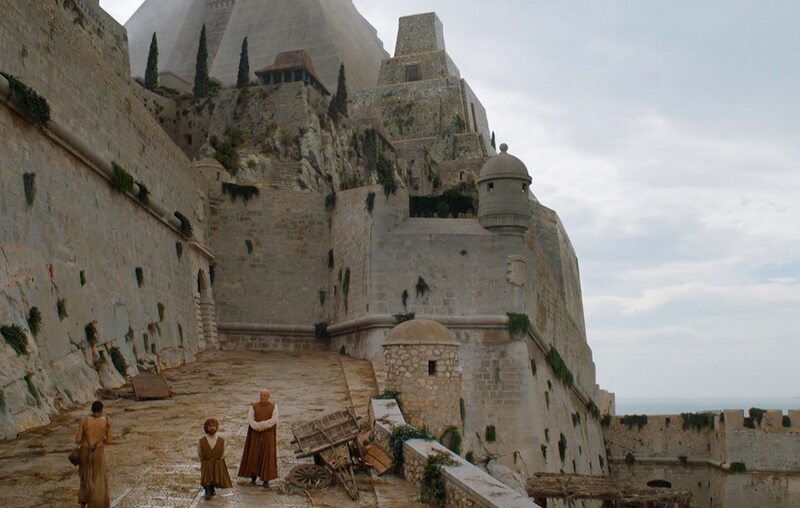 Places like The King’s Landing, Dorne, Highgarden, Meereen and Volantis are in fact in Spain, so are you willing to visit the most notorious ones? 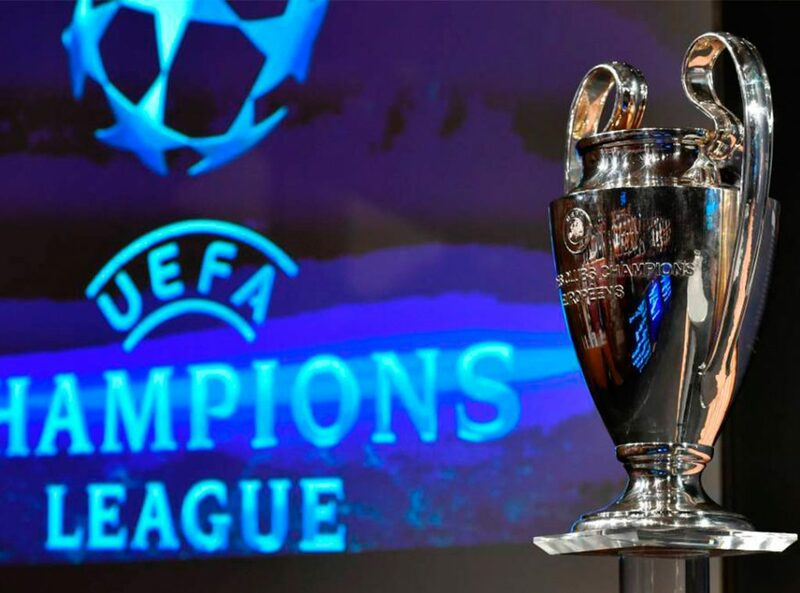 One of the series’ biggest achievements has been to combine what is real and what is not in such a seamless way that, on occasions, even the Spaniards had trouble recognizing the scenarios seen on TV as those of their own land. 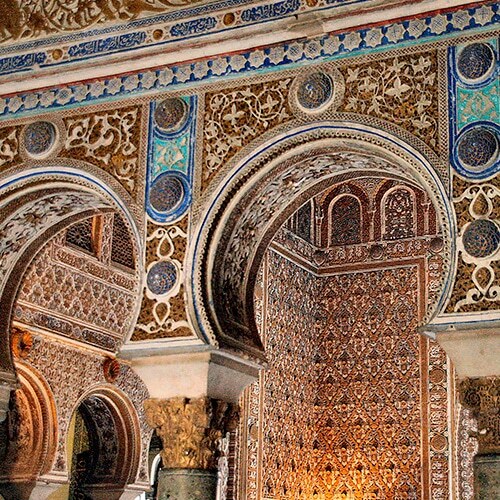 As previously noted, Spain is a country of contrasts which, if you traverse from North to South, will give you the impression of containing many countries, many worlds in it. 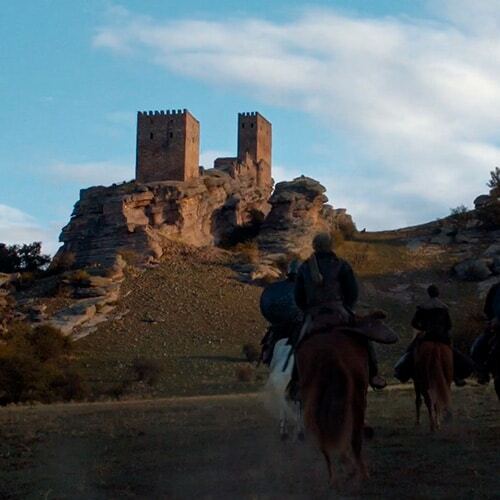 To the benefit of Game of Thrones’ location hunters the choice to film in Spain resulted in a plethora of cities and enclaves adapted to take George R. R. Martin’s world into the screen. 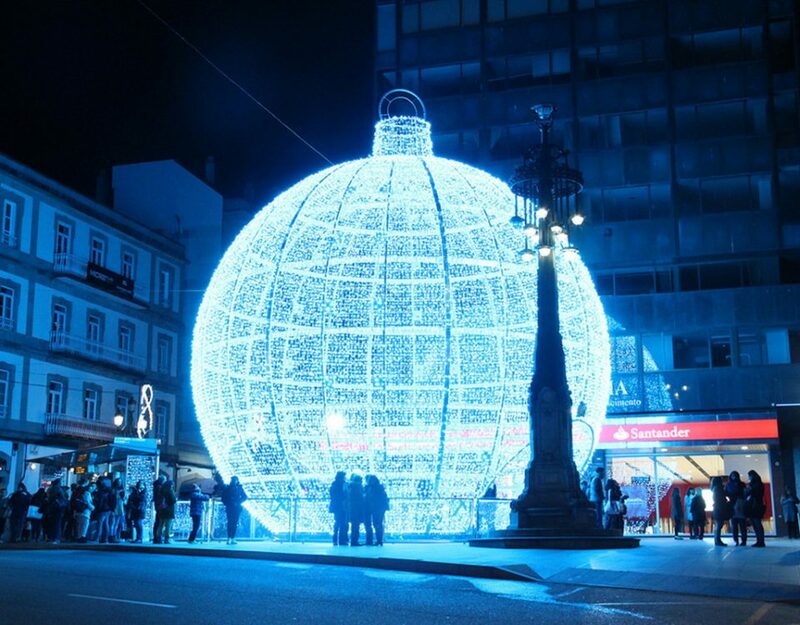 We will cover an itinerary spanning from South to North and stop by the most notable places. Take note of which ones are your favorites so that we include them when we design your next trip! This entry contains SPOILERS (from seasons 1-7). 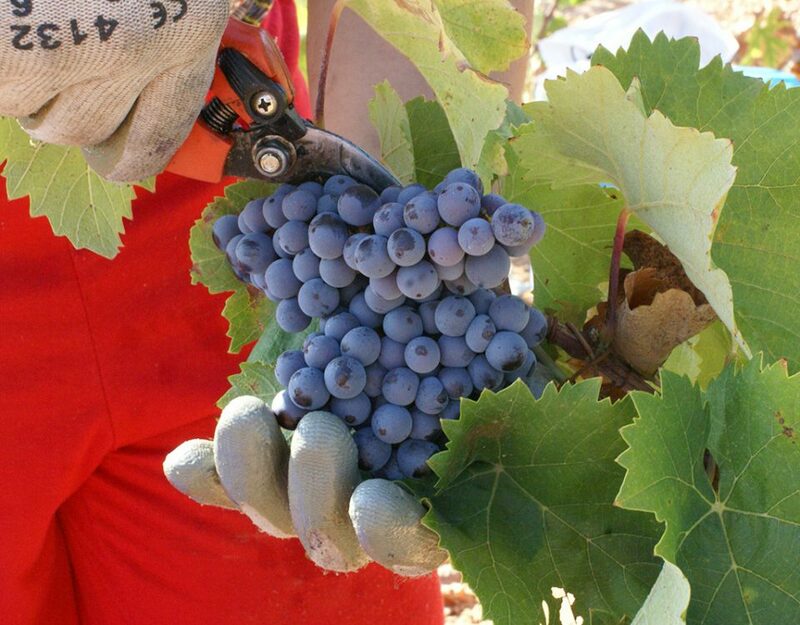 Almería is not the first region to be used as cinematic background, nor will it be the last. Films the likes of Lawrence of Arabia, Cleopatra or Indiana Jones and the Last Crusade have already benefited from its remote and desertic landscapes. 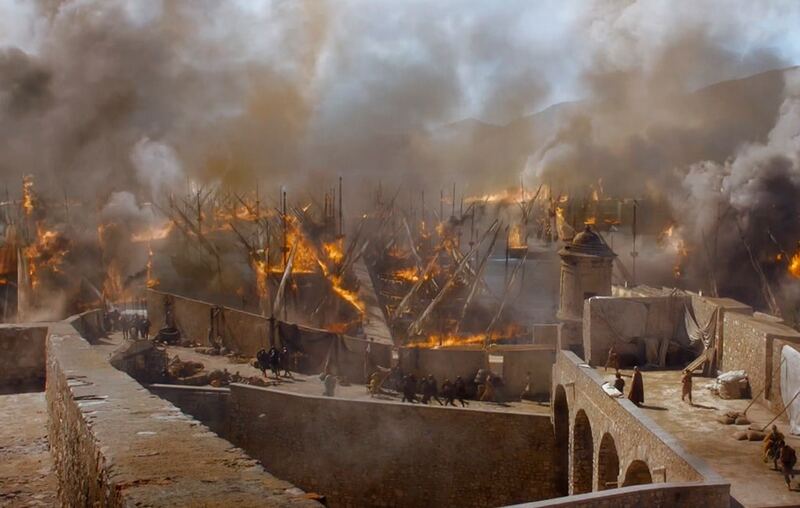 Game of Thrones has as well used this scenario in many scenes recreating the world of the Dothraki, its city of Vaes Dothrak and many others. 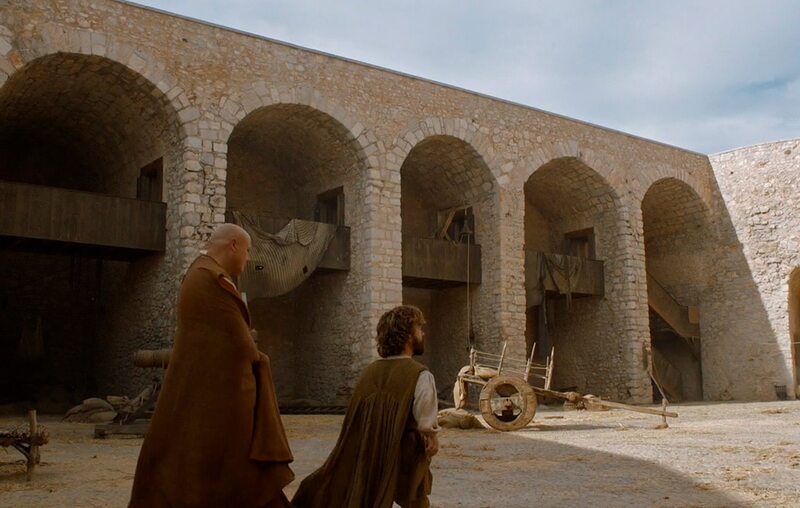 However, let us present here just one of the scenes from the last encounter between the rulers of the city of Essos and Daenerys which takes place in Meereen: in this filming the seawatch tower of Mesa Roldán was used thanks to its privileged location inside the lava dome of Gata-Níjar, a promontory declared Natural Park which harbors, as does the rest of Almería, amazing strands. We recommend you to include Almería and its beaches in your itinerary if you are looking for a coastline worth visiting, because it is not just desert down there! Across our course we will probably not find any other scenario as easily recognizable by watching the TV-series as the one here. 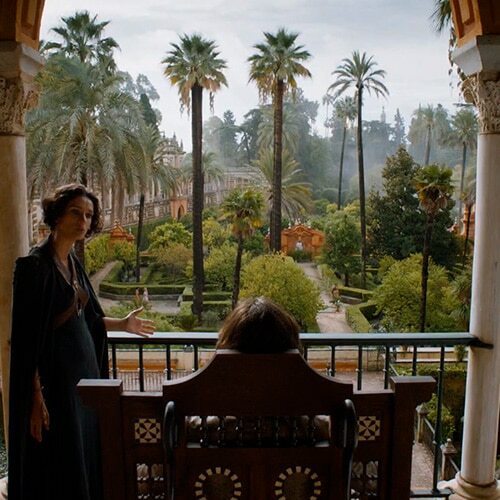 We refer, obviously, to the Southern capital of Sunspear, its palace and Water Gardens, where part of the action concerning the Kingdom of Dorne develops throughout the fifth season. 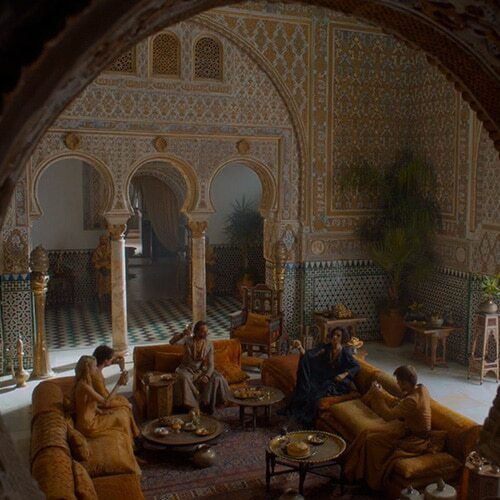 Dorne had to be given a different atmosphere to that of Westeros’ kingdoms, it had to be a barren spot out of the reach of Northern customs and traditions, yet Sunspear’s palace served as living metaphor for an oppressed folk and the opulence enjoyed by their rules. 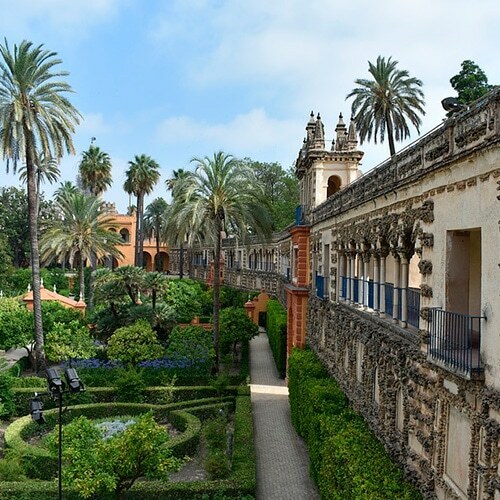 In order to represent all that Game of Thrones chose the beautiful Alcázar of Seville, an enclave which hardly needed CGI to be used given the embellishment of its palace and the lushness of its gardens. 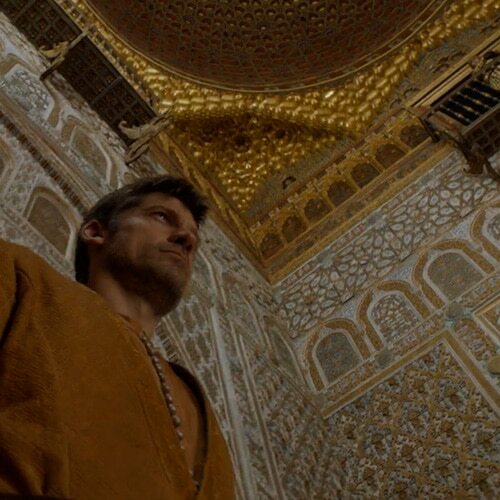 The Alcázar possessed thus everything the storyline required with an aesthetic closer at times to the world of Essos than to Westeros. 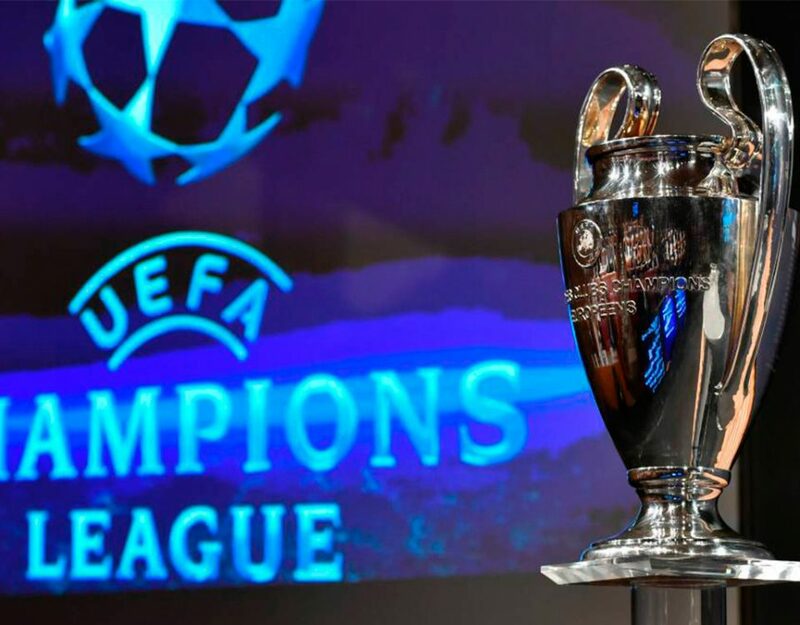 The series offers us great spectacle with dragons and among the most famous scenes in this regard we shall count the ending of the fifth season, when Daenerys Targaryen agrees to celebrate the “Great Games” of Meeren. 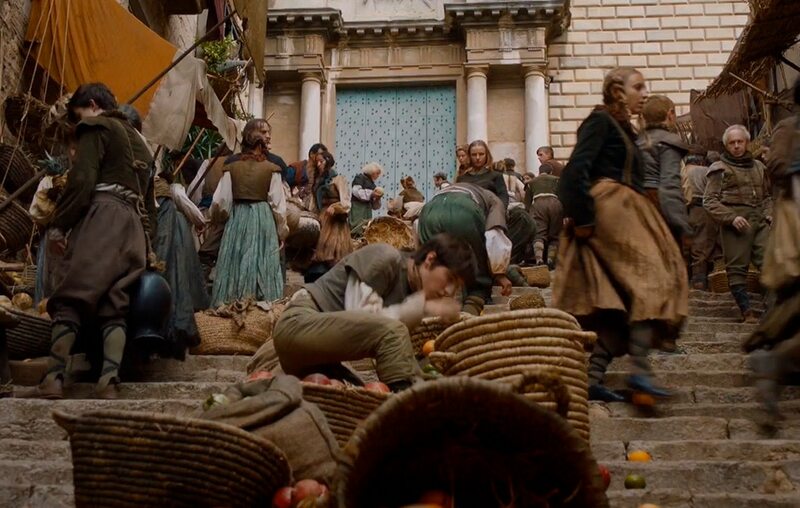 During the celebration, and hidden amid the public, the Sons of the Harpy attack Daenerys and her people until one of the dragons shows up to rescue her “mother”. 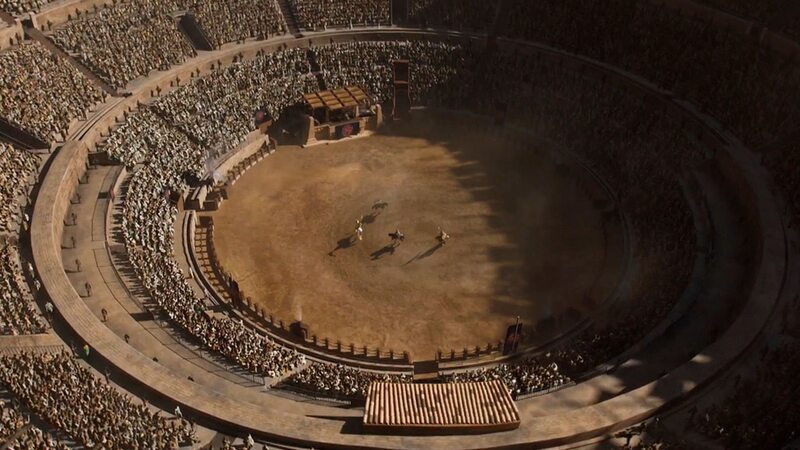 Meereen’s Great Fighting Pit of Daznak is the scenario for the whole scene, where the tournament was taking place, and the series’ localization-crew favored shooting inside a bullfighting-ring for it, specifically the one at Osuna, a town part of the Province of Seville. 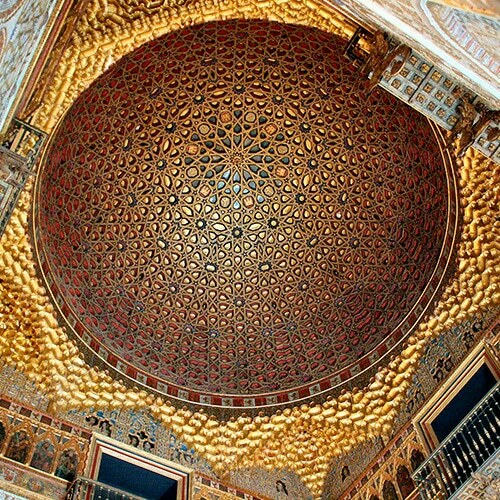 Still in the Province of Seville we can find the fantastic location in which the seventh season closes, that is, the place and time for all “living” parties of the series to sign a truce treaty and face together the Great War. Do you remember the ruins where the action takes place? 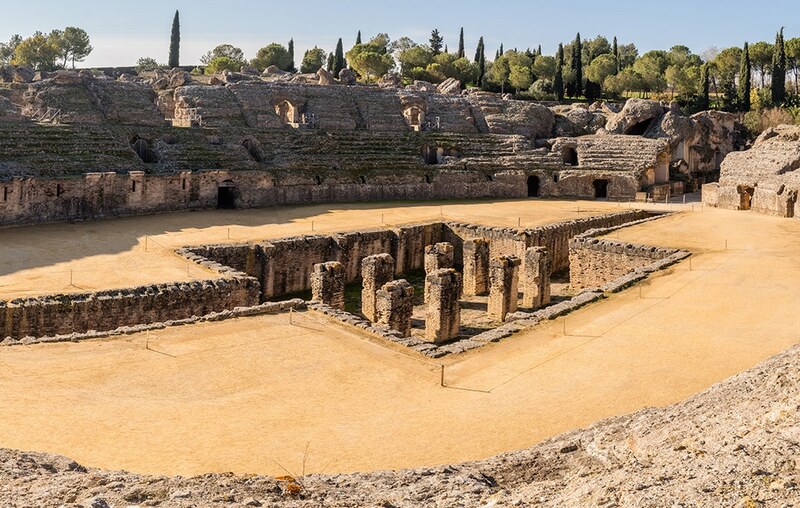 They are in fact the amphitheater of Itálica’s Architectural Complex, an old city of the Roman Empire, first one to be founded in Spain, in the year 206 BCE, and first one to be founded out of Italy overall. 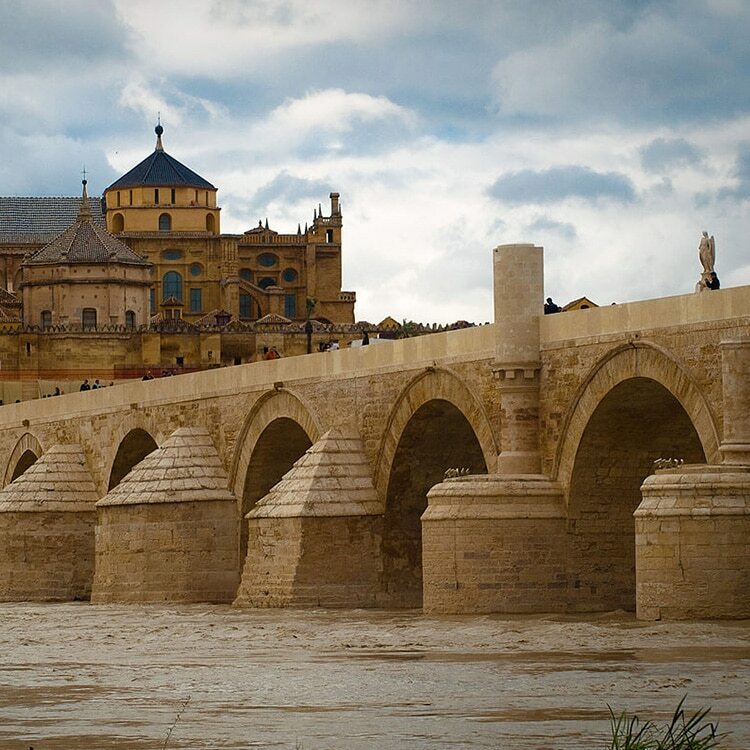 Curiously, one of the most iconic postcards out of Córdoba (leaving aside its wonderful Mosque) coincides with the views of the Free City of Volantis we are offered when Tyrion Lannister is on his way to meet Daenerys Targaryen for the first time. 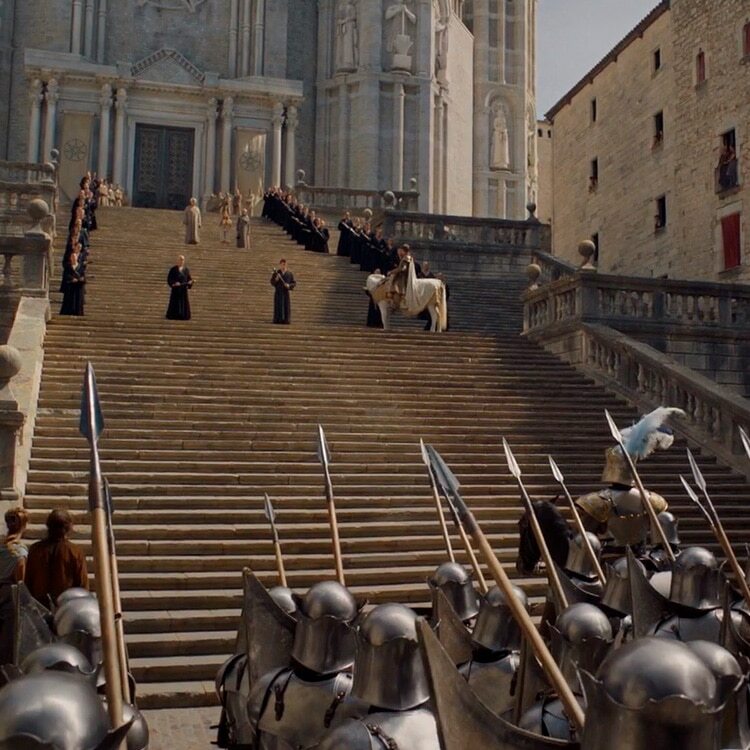 Going now inland in our course we find the scenario of one of Game of Thrones’ most impacting sword scenes. 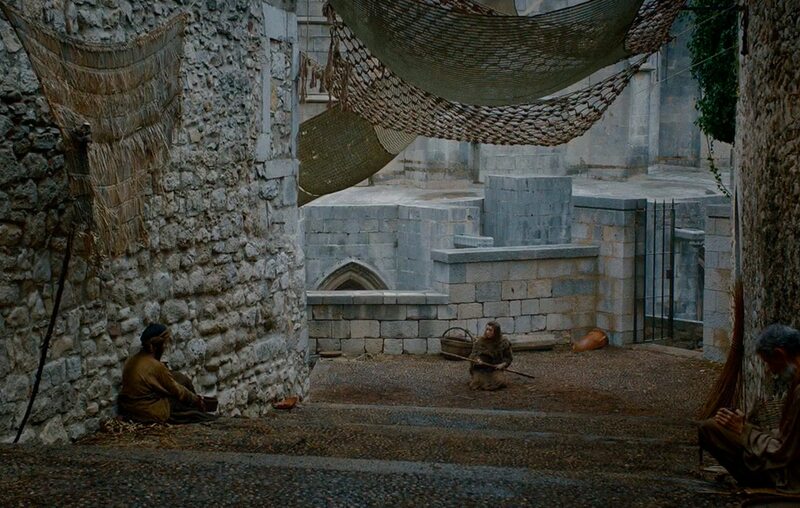 Do you remember Bran Stark’s trance in which he saw his father going towards the Tower of Joy to rescue Lyanna Stark? 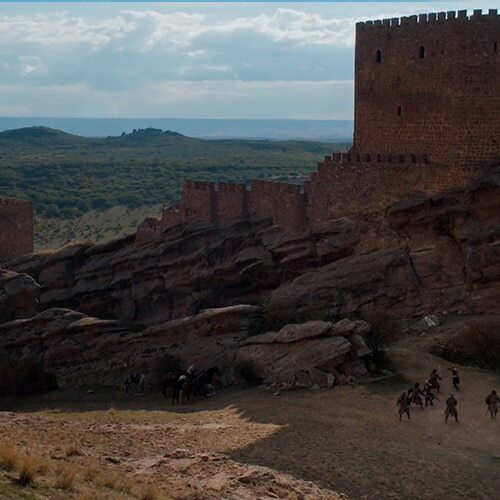 What you saw there is the Castle of Zafra, in Guadalajara. 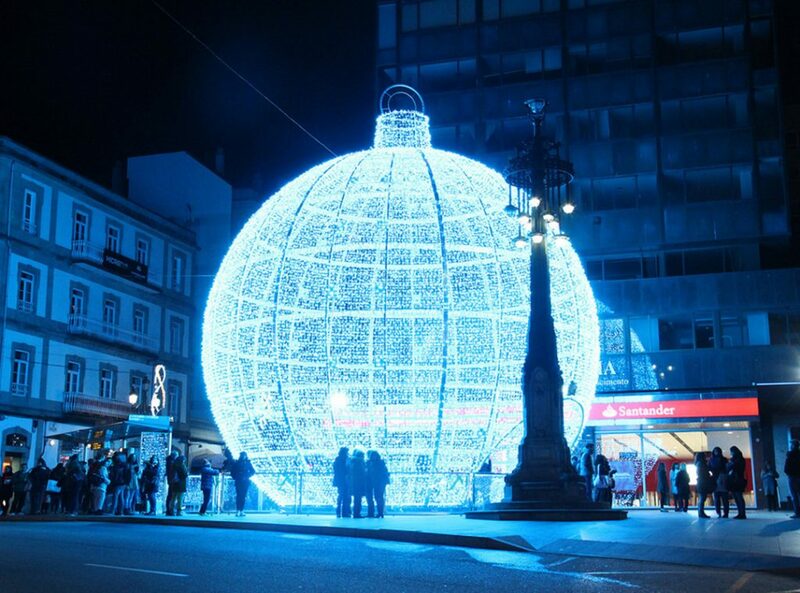 We could not leave Barcelona out of our route. 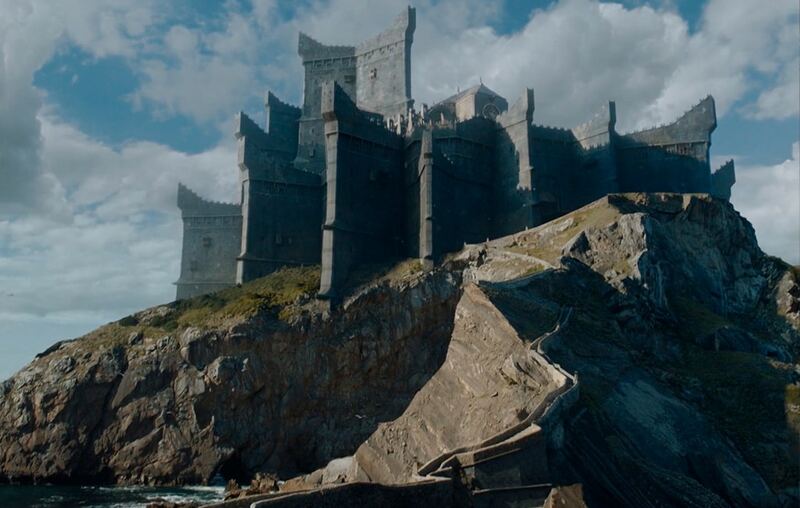 Although its appearance on the series was transient, the Castle of Santa Florentina also had its role as Horn Hill, the seat of the House Tarly. 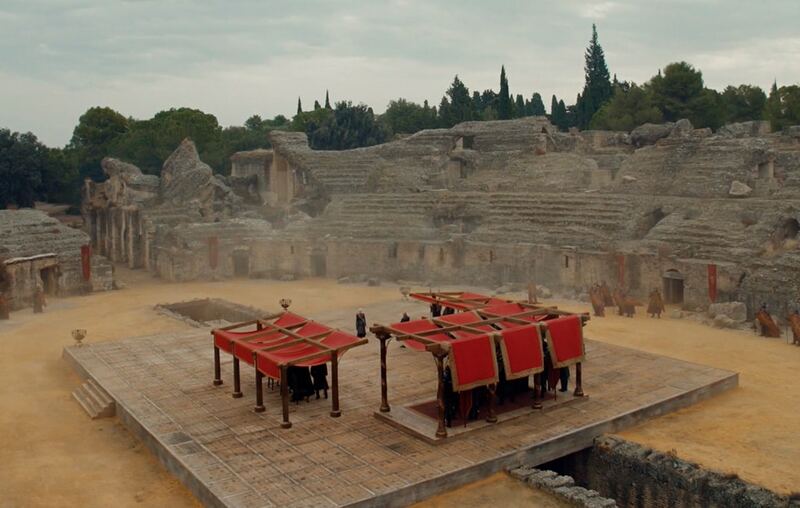 Along with Seville, Girona served as wildcard to tell stories of many different places. 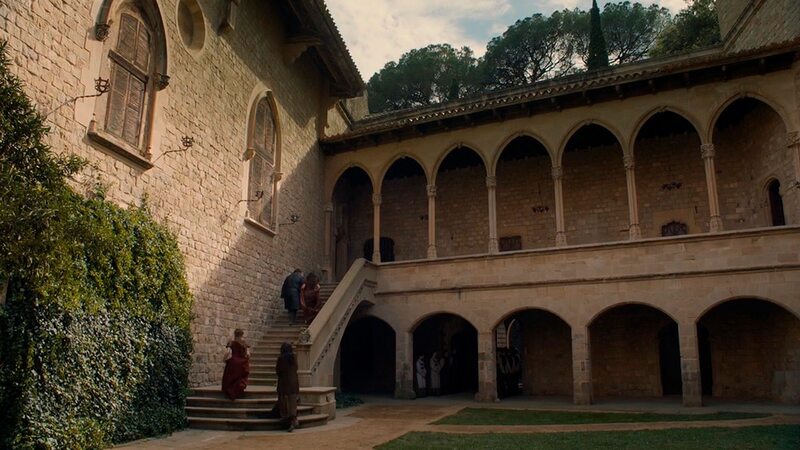 If we had to choose we would pick out, on one side, its use during Arya’s plot in Braavos and, on the other, as the exterior location for the Sept of Baelor, in King’s Landing. 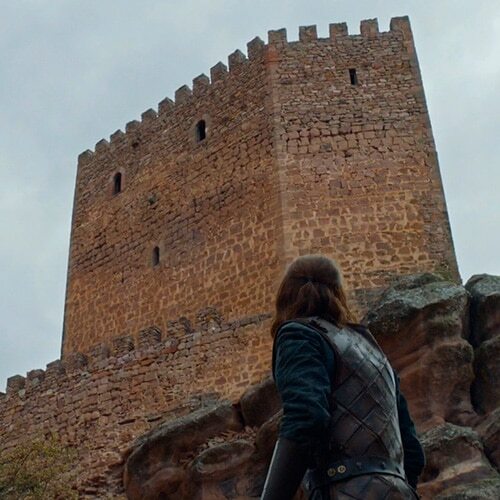 But if we are going to speak about Braavos there are plenty of scenes mentionable here, such as the ones from the training Jaqen H’ghar imparted unto Arya Stark. We could visit the “Calle del Bisbe Josep Cartañà”, the street in which she begged blinded as result of the punishment she suffered after disobeying H’ghar’s commands. 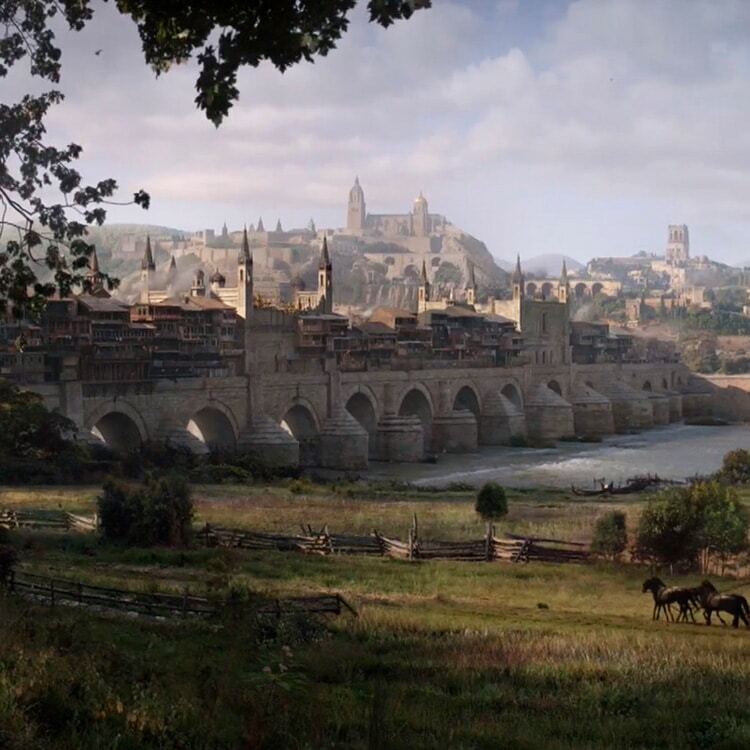 Or the “Bridge of the Galligants”, where she was stabbed by a “Faceless Man”. 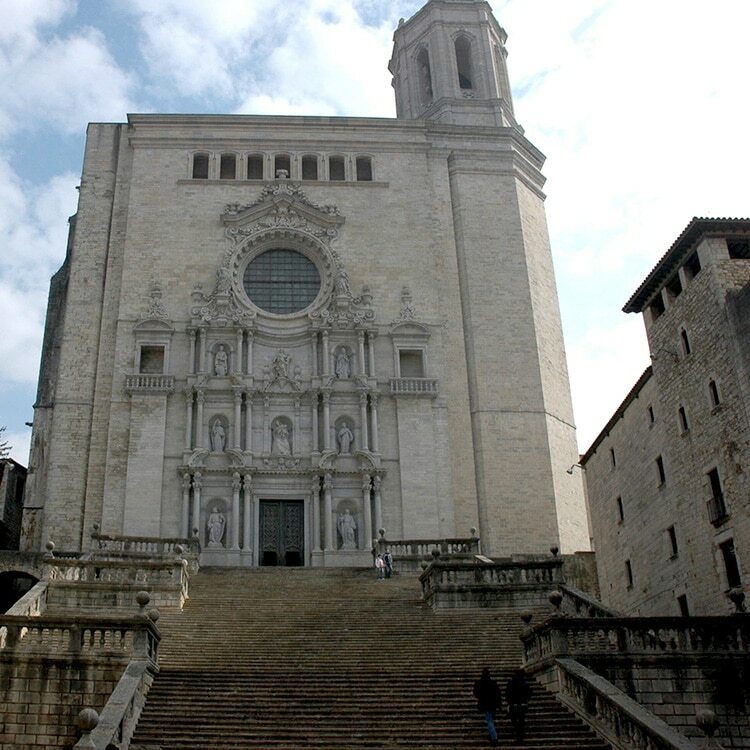 Or trace down the steps of “La Pujada de Sant Domènech” where she tumbles during the final chase. 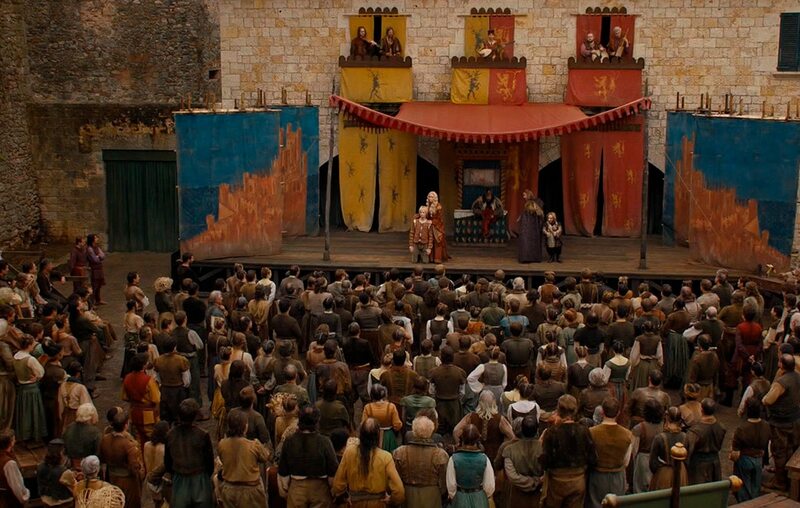 Or visit the “Plaça dels Jurats” in which takes place the performance retelling everything that befell to the House Stark and the other Houses since she ran away from King’s Landing. 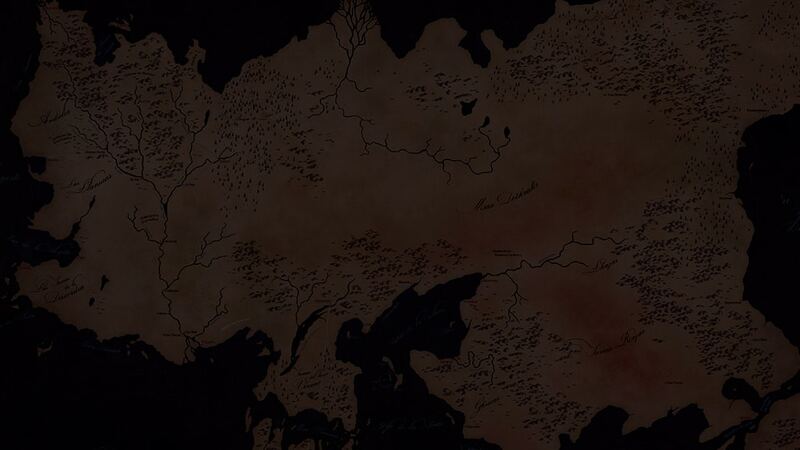 Would you like to travel on a horse across the Dothraki Sea? It is possible in the arid landscape of Bardenas Reales, in the Community of Navarra. 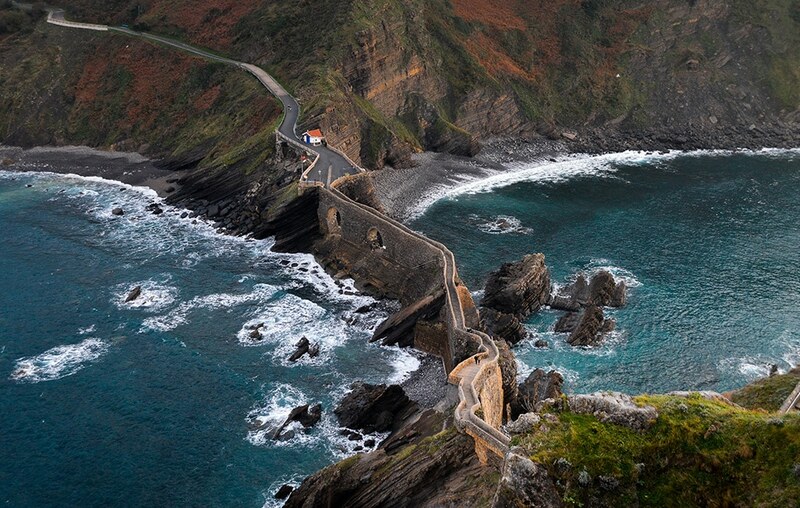 In the Basque Country we arrive to the end and northernmost point of our curated journey. 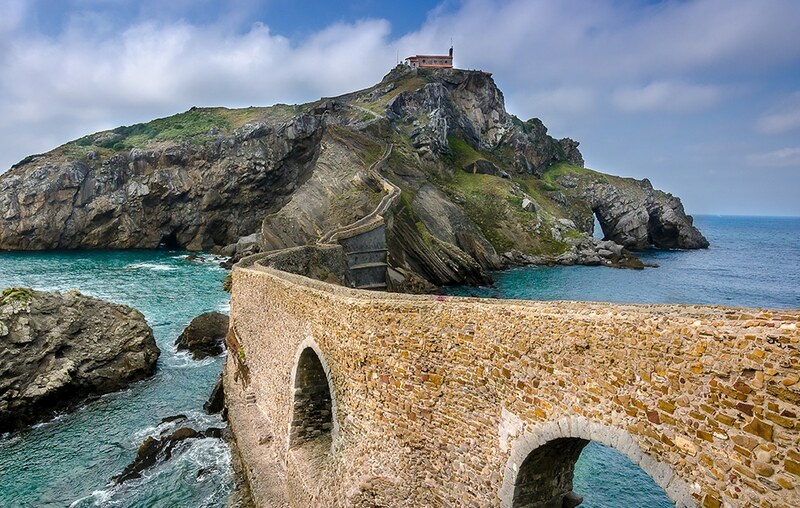 One of the most relevant locations here is San Juan de Gaztelugatxe, an islet of Bermeo in the Province of Biscay, renown for the stone-bridge that ties it to the mainland. 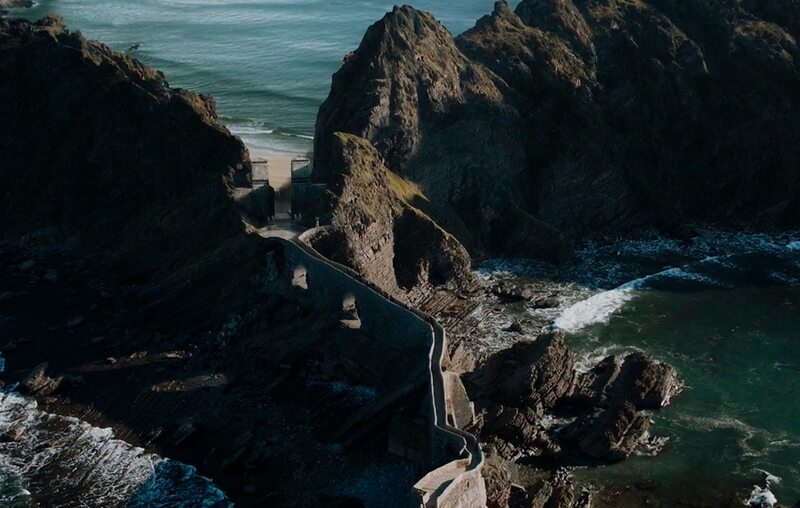 This zone ranks among the best when it comes to organizing hiking-routes for our most adventurous travelers and whoever saw the seventh season’s Dragonstone Castle will quickly discover why. Are you a real fan of Game of Thrones? 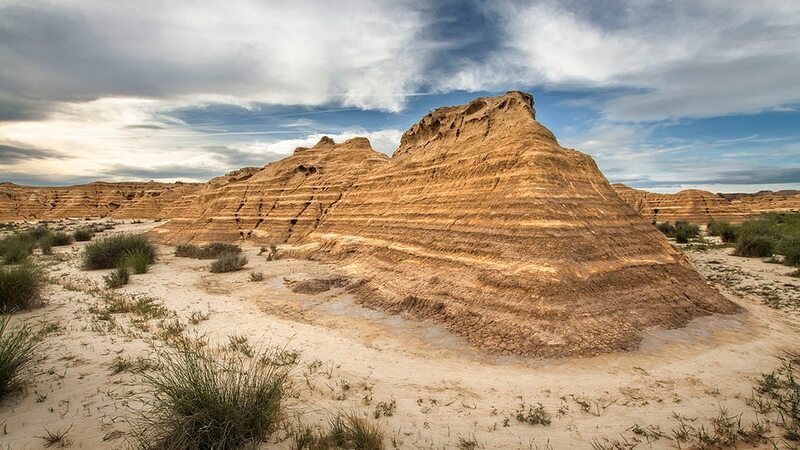 Then tell our travel advisors to craft a custom itinerary for you to visit its different shooting-locations and relive the TV-series where it all started.